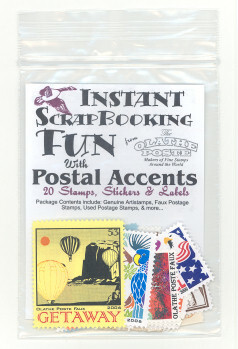 Postal Accents are Instant Fun for Every Page in Your Scrapbook!!! Any Paper Project. 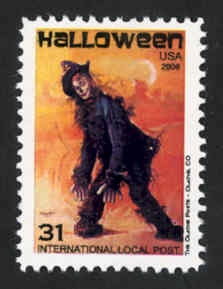 . .
Each package of Postal Accents include real, Genuine Artistamps, Faux Postage stamps, Poster Stamps, Advertising stamps, even used postage stamps. The perfect items for showing off your photos or mementos on those scrapbook pages highlighting your vacation or that exotic weekend away. 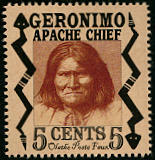 Postal Accents are also a great way to embellish old photos or letters on scrapbook pages too! 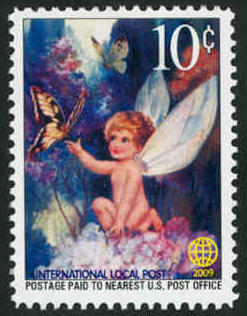 You will find new uses and ideas with each and every brightly colored stamp in Postal Accents. The possibilities are endless! Be sure to check out Scrapbooking Instant Backgrounds too!